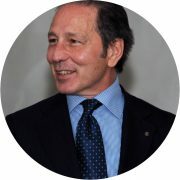 Boas Erez graduated in 1981 from the Liceo Cantonale (scientific lyceum) in Lugano, and continued his studies at the University of Geneva where he obtained a degree in mathematics in 1985 and, in 1987, a Ph.D. in mathematics. From 1985 to 1990, he was an assistant at the same university, before moving to Harvard University where he was Benjamin Peirce Assistant Professor from 1990 to 1993. In 1993, he was appointed Full professor of mathematics at the University of Bordeaux, where he held several executive positions at the level of institute, faculty, commissions, programmes, doctoral committees and international scientific projects. Prof. Erez was time and again a Board member of the University of Bordeaux 1, and was also vice-president of the university from 2005 to 2008. Prof. Erez is the author of numerous quality scientific publications and has regularly organised international activities in his subject field. He has great experience in the coordination of joint international projects in higher education. As of September 1st, 2016, Prof. Boas Erez is Rector of the Università della Svizzera italiana. 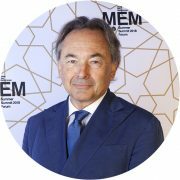 Gilles Kepel is a French political scientist and Arabist, specialised in the contemporary Middle East and Muslims in the West. He is Adjunct Professor and scientific director of the Middle East Mediterranean Freethinking Platform. He is also Professor at the Université Paris Sciences et Lettres (PSL) and director of the Middle East and Mediterranean Chair at PSL, based at Ecole Normale Supérieure. Originally trained as a classicist, he started to study Arabic after a journey to the Levant in 1974. He first graduated in Philosophy and English, then completed his Arabic language studies at the French Institute in Damascus (1977–78), and received his degree from SciencesPo in 1980. His research interests focus on the current geopolitical configurations and conflicts in the Middle East Mediterranean region; on the impact the impact of Jihadi terror in the wake of the Massive attacks on French and European soil. He investigated the developments of Islam as a social and political phenomenon in France, with an innovative approach in Islamic studies in the West. He researched on the 2005 French Banlieues riots in the Clichy-Montfermeil area, north of Paris, whence the events sparked. He did also compared studies of political-religious movements in Islam, Judaism and Christianity. His new book is Sortir du Chaos: Les crises en Méditerranée et au Moyen-Orient (Éditions Gallimard, 2018). Maria Cristina Reinhart has solid humanistic studies followed by a specialization in management. She has worked and collaborated with national and international institutions in the field of communication, education, and non-profit, offering strategic, territorial and marketing advice. She is currently working for the Foundation of the Università della Svizzera italiana, dealing with programs’ development, institutional relations and fundraising. She is also the general manager of the MEM Freethinking Platform. Federica Frediani, Senior researcher and lecturer at the Università della Svizzera italiana, she is currently Educational Programme Manager of the Middle East Mediterranean Freethinking Platform. 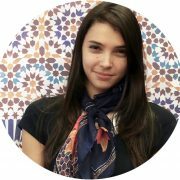 She is member of the Project Committee and Project Leader of the Middle East Mediterranean Summer Summit. She holds a Ph.D. in Comparative Literature from Università di Siena. She had a research position within the Department of Foreign Languages, Literatures and Cultures of University of Bergamo and she had worked for several years at the Laboratorio Studi mediterranei. 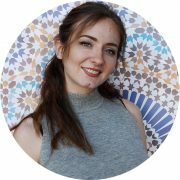 Her research interests focuses mainly on representations, cultural productions and political and intercultural dynamics of the Middle East Mediterranean region. She published books and articles on the travel writing. In particular the women travel literature, and on the relationships between Northern and Southern shores of the Mediterranean. She appeared as expert in the documentary series “Lady Travellers” that Rai Storia devoted to women travelers. Kleona Bezani holds a Master degree in Communication Management and Health, and a Bachelor in Science of Psychology. She has worked on research related to Corporate Social Responsibility, Consumer Behaviour, and Social Sciences. She also has experience on change management related to migrant friendly practices and social re-integration processes. She is currently working at the office of Development and Institutional Relations at the Università della Svizzera italiana and is executive assistant for the MEM Summer Summit. 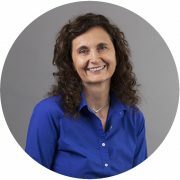 Monica Steger has over 22 years of experience in university administrative support. While assisting in the administration of the Rectorate office at the Università della Svizzera italiana, she is also occupied with the general administration of the MEM Summer Summit. Boryana Stratieva is a Master graduate in Management and Informatics with a background in Mathematics. She has worked in the Human Rights Directorate of the Ministry of Foreign Affairs of the Republic of Bulgaria. She also has experience with CRM systems, working on customisation, implementation and change management. She is currently working at the office of Development and Institutional Relations at the Università della Svizzera italiana and is executive assistant for the MEM Summer Summit. Gabriele Balbi is Assistant Professor in Media Studies at the Faculty of Communication Sciences, USI Università della Svizzera italiana (Switzerland). He is also director of the China Media Observatory, vice director of the Institute of Media and Journalism, responsible for the "communication and media" minor at the BA level, and member of USI Senate at the same institution. Finally, he is Vice-Chair of ECREA Communication History Section. 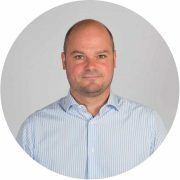 He received a BA and MA in Communication Sciences at the University of Turin (Italy) in 2002 and 2004 and a PhD in Communication Sciences and Social History of Communication at USI in 2008. Before being appointed at USI, he has lectured and researched at Harvard University, Maastricht University, Columbia University, University of Westminster, Oxford University and Northumbria University. Lorenzo Cantoni graduated in Philosophy and holds a PhD in Education and Linguistics. He is full professor at USI - Università della Svizzera italiana (Lugano, Switzerland), Faculty of Communication Sciences, where he is director of the Institute for Communication Technologies. Lorenzo Cantoni is scientific director of the laboratories webatelier.net, NewMinE Lab: New Media in Education Lab, and eLab: eLearning Lab. His research interests are where communication, education and new media overlap, ranging from computer mediated communication to usability, from eLearning to eTourism and digital Fashion, from ICT4D to eGovernment. 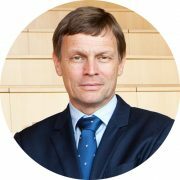 He is chair-holder of the UNESCO chair in ICT to develop and promote sustainable tourism in World Heritage Site, established at USI in 2013. 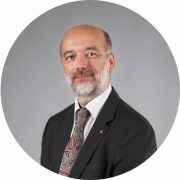 L. Cantoni has been Dean of the Faculty (2010-2014) and President of IFITT - International Federation for IT in Travel and Tourism (2014-January 2018). 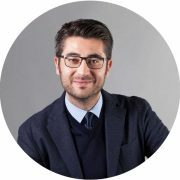 At USI he is director of the Master in Digital Fashion Communication, done in collaboration with the Université Paris 1 Panthéon-Sorbonne, and member of the board of the Master in International Tourism. 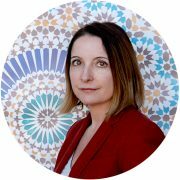 Jolanta Drzewiecka (PhD, Arizona State University, USA) researches discursive constructions of cultural, racial, and national differences and identities to advance a critical intercultural communication framework. She focuses on two areas: immigrant identity and public memories. In the first, she examines how immigrant identities are negotiated and represented in personal and media narratives. Here, she develops a theory as to how immigrants are racially incorporated through intercultural translation in ways that sustain structures of inequality. The latter area explores how public memories are shaped by and shape nationalism. She is particularly interested in how memories of ethnic violence are discursively disabled and blocked and victims rendered unrecognisable to protect fictions of the national self. William Mullen is an Alumnus from Lawrence University (Wisconsin, USA), holding a BA in Sociology and Education. 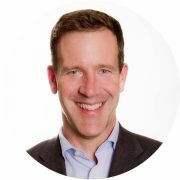 He earned a doctorate of education degree in Educational Policy and Development from the University of Minnesota-Twin Cities, and an MBA in Marketing from Capella University (Minnesota, USA). Maria Cristina Reinhart has solid humanistic studies followed by a specialization in management. 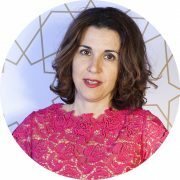 She has worked and collaborated with national and international institutions in the field of communication, education, and non-profit, offering strategic, territorial and marketing advice. 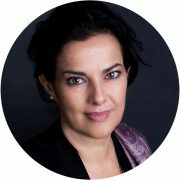 She is currently working for the Foundation of the Università della Svizzera italiana, dealing with programs’ development, institutional relations and fundraising. 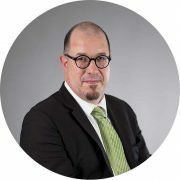 Giovanni Zavaritt (1979) holds a PhD in Political Communication at USI, where he completed his training with the Executive Master of Science in Communications Management (www.emscom.usi.ch). He currently is Head of Communication at USI.